Westpac Banking Corp has bought an equity stake in Assembly Payments and will work with the Melbourne-based fintech to integrate the bank’s merchant terminals with customers’ point-of-sale (POS) software, removing the need for transaction amounts to be entered into retailers’ systems twice. For workers in the nation’s restaurants and coffee shops, entering the dollar amount of a transaction into a banking terminal to complete a sale might be a small frustration, but the extra process can add up to real dollars for business owners. Westpac estimates that for a typical Sydney CBD cafe – which completes between 1000 and 1500 transactions a day – the three to five seconds of time taken to rekey the transaction amount into the merchant terminal adds up to $100 a week for the business owner in extra staff salary, a cost that will be removed once the two systems are integrated. Neither Westpac nor Assembly Payments would discuss the size of the bank’s investment, but it is understood to be more than $10 million. Westpac hopes the deal will open up a new revenue stream as it seeks to export the integration to global banks. 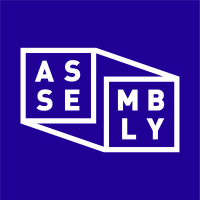 Westpac’s venture capital fund Reinventure Group already has a stake in Assembly, which was originally known as PromisePay. The bank plans to have the integration completed this month with the 40 biggest point-of-sale software providers, and within 18 months for all of the 200-odd POS systems. Westpac hopes the deal with Assembly gives it a leg-up against rival bank payment systems such as Commonwealth Bank’s Albert and ANZ’s Blade, where integration with POS software is more limited.